WAIMEA BAY, Oahu/Hawaii (Thursday, December 4, 2014) — Surfing’s most famous tribute event, the Quiksilver in Memory of Eddie Aikau, celebrated 30 years today with a powerful ceremony at Waimea Bay to honor the life of iconic big wave rider and legendary lifeguard Eddie Aikau. 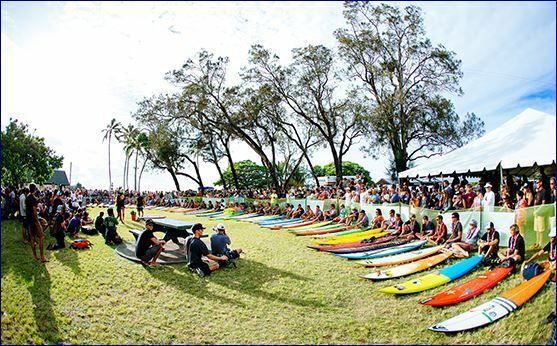 Thousands filled Waimea Bay Beach Park this afternoon, including family, friends old and new, followers from around the world, and the prestigious list of surfers invited to compete if and when “The Eddie” should run on one special day of giant surf between now and February 28, 2015. Led by Hawaiian Kahu Billy Mitchell, the world’s top big wave riders gathered in a moving tribute to a man who made his mark on the world through his passion for big wave surfing and countless selfless acts that saved the lives of so many. “Today is not about any competition, it’s about passion, respect and aloha,” said Kahu Mitchell. “The passion these surfers gathered here share with Eddie; respect for one who lived righteously; and aloha, love. Eddie was all about aloha. That’s why we make this circle (of surfers) here at Waimea. A full circle. Uncut. Full circle love like Eddie had. He received so much from this place and he gave more back.” “This event is a marker,” Kahu Mitchell continued. “A marker of our lives. 30 years.” It was a moving experience for so many who attended, from the famous surfers of today, to the many friends Aikau gathered from around the world through his life that spanned just 32 years. It is a true tribute to him that this event in his honor continues to gain momentum and share a positive, heroic story so many years on. Aikau was an internationally known surfer, decorated lifeguard and member of the crew of Hawaii’s revered voyaging canoe Hokule’a. He was tragically lost at sea in 1978 during a rescue mission when Hokule’a capsized en-route to Tahiti. The Quiksilver In Memory of Eddie Aikau now keeps his story alive for new generations. 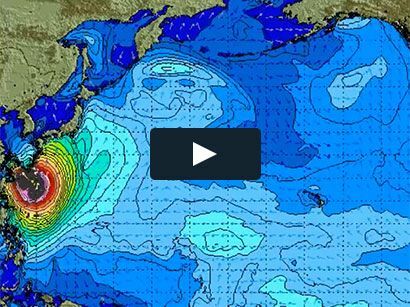 With a forecast of huge surf on the horizon for early December, anticipation is high for this winter’s Eddie. The event was last held in December of 2009 and won by California’s Greg Long. The heat draw for the event has been released, see below.